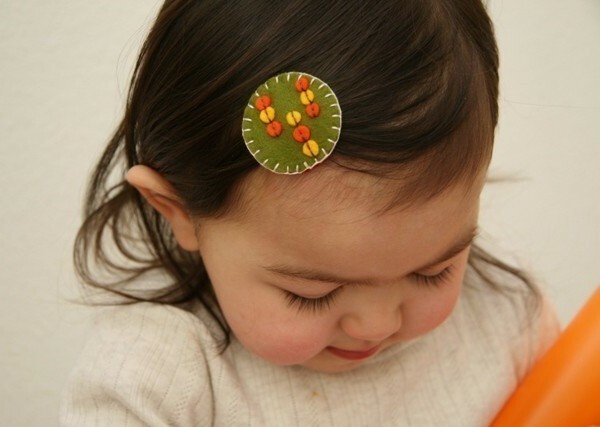 If the thought of putting a frilly-and-fancy extravaganza of a hair clip on your daughter has you running for the hills, then you’re going to adore these thoroughly modern accoutrements. 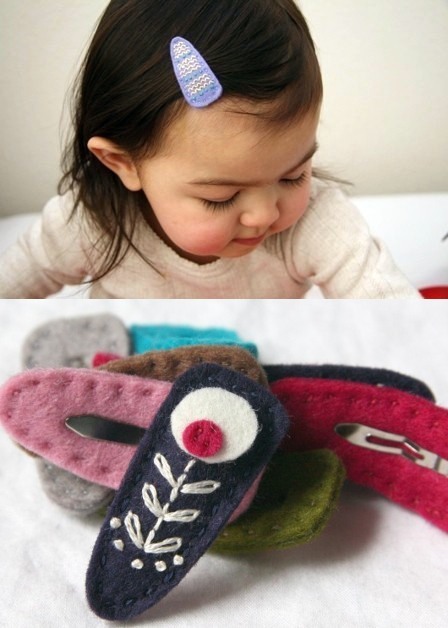 Using wonderful but often ignored colours within girls design (my favourite is the stunning dark blue/grey below), these handmade wool felt hair clips from Modern Bean are tiny masterpieces waiting to adorn your little one’s tresses. 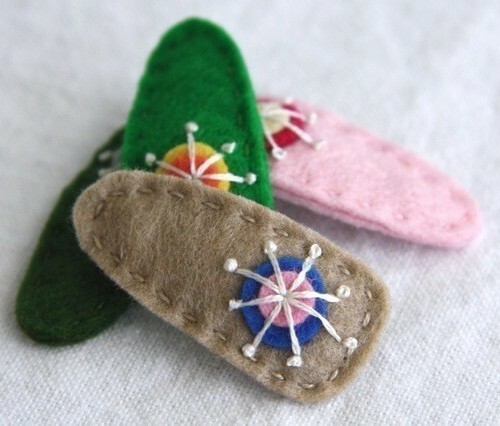 The design and stitching on each clip is incredibly unique, combining a mid-century aesthetic but with colours and materials that are very much modern influenced. I’m trying to stop myself from ordering up a whole bucketload of these divine clips but I think resistance is futile in this case. 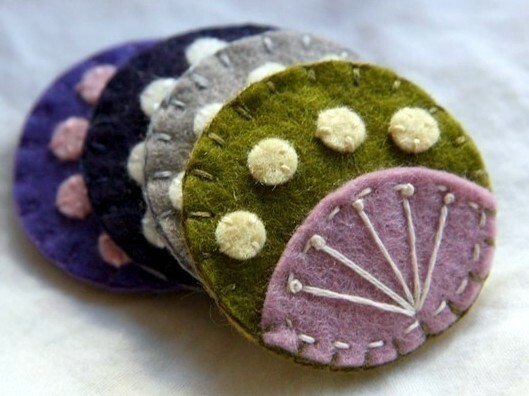 Head to Modern Bean’s Etsy shop where there’s over a hundred clips to choose from, all made with Holland 100 per cent wool felt. Prices range from US$5 to US$6, plus shipping.